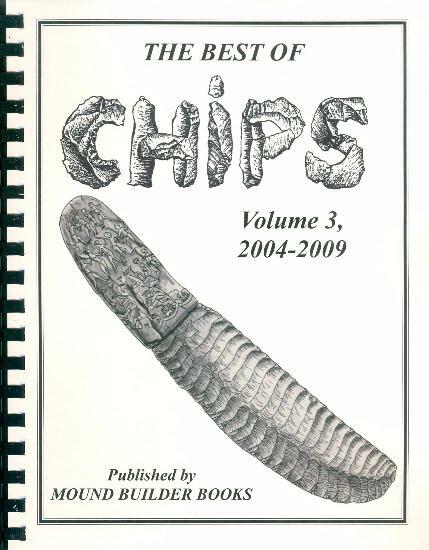 The Best of Chips, Volume 2, 1999-2003. In this second Best of CHIPS we have a selection of 28 articles, and 13 cartoons from CHIPS Volume 11, Number 4 through Volume 15, Number 4. Continuing D.C. Waldorf's series on making certain point types there are segments on Thebes, Dovetails, Dalton, Clovis, Broad Points, Triangular Arrow Points, Early Archaic Corner Notched Serrated Points, Decatur Fractured Base Points, and Hopewell Ross Points. 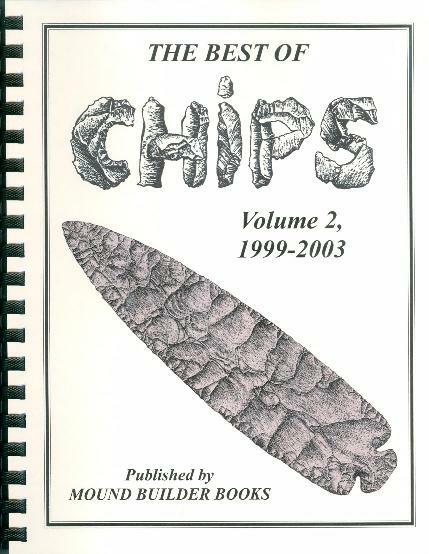 Other pieces featuring points are “Clovis Fluting the Old Fashioned Way,” “Fluting: Plain as Dirt,” “Points From Two Pueblo Sites,” Observations on E-Notching,” and “Folsom Points and Preforms.” Articles about foreign flint knapping include “Kimberly Spear Points of NW Australia,” and “A Sussex Knapper” which covers flint sources in southern England. 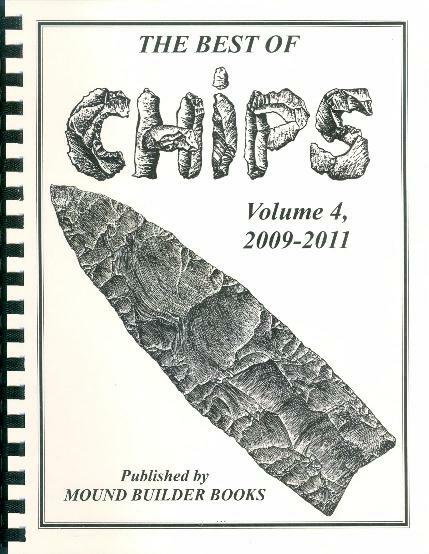 As for stateside lithics we have “Flint Rockin’ in South-Central Texas,” and “A Day at the Ridge,” Flint Ridge that is! Plus more tips on tricks and techniques that will help you become a better knapper. Comb bound, 117 pages, $22. 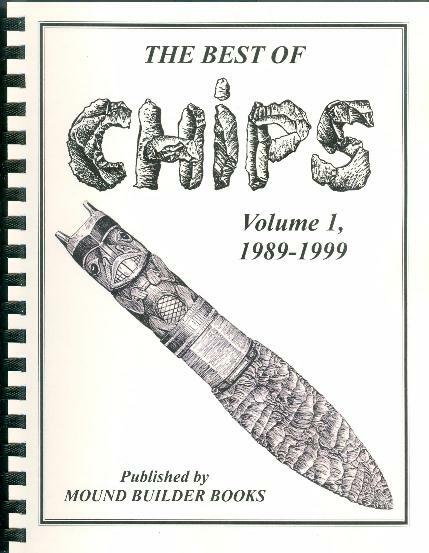 Get all four volumes for $80, see The Best of CHIPS special on the Specials page!